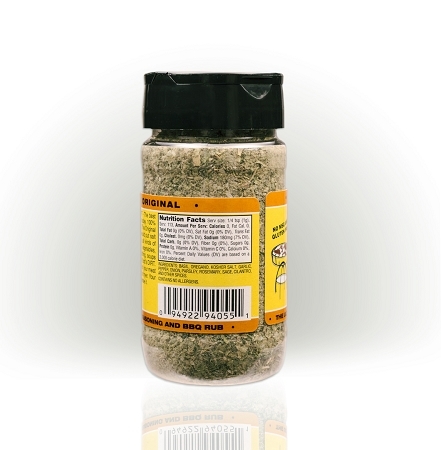 A true gourmet seasoning made with 14 spices, which is 100% all natural. No MSG, Gluten or any other junk in theDIRT . 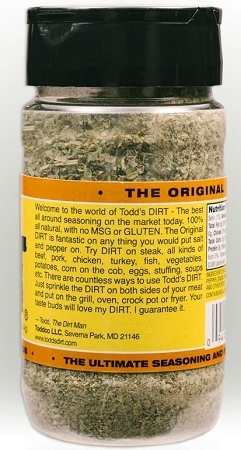 THE ORIGINAL Todd's DIRT is a mild seasoning that brings out all the flavor on the food that it is on. 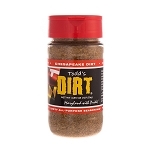 Fantastic on all kinds of meat's, DIRT transforms an ordinary piece of steak into a great steak. whether on the grill, oven, or in the crock pot. Try Todd's DIRT on anything: beef, pork, chicken, turkey, crabs, potatoes, rice, pasta, corn on the cob, eggs, stuffing, and more. Anything you would put salt and pepper on is better with DIRT . You can Grill, BBQ, Fry and bake with it. Try it in your favorite recipes, marinades, soups and gravies. 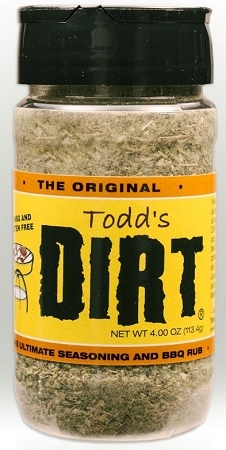 There are countless ways to use Todd's DIRT .Just sprinkle it on both sides of your meat and put it on the grill!